Why buy olive oil in oleobercho? 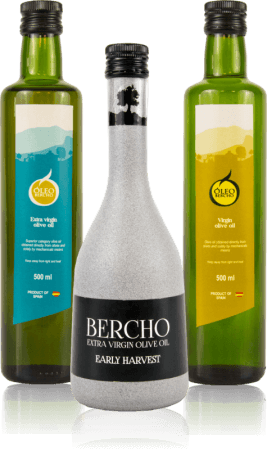 In our online store can buy extra virgin olive oil of the highest quality, directly from Jaén, the largest producer of olive oil in the world. In Oleobercho we send the olive oil directly to your home, without going through dealers, so we can offer our product at a very competitive price. Buy our olive oil online and enjoy its exceptional flavor!